Every day, we're bombarded by countless sounds and signals. Some can be heard by the human ear while others require specific equipment to detect them, and several have invaded homes through the airwaves. The sources for some of these sounds in this article have been identified. However, many remain a mystery—though there are plenty of theories as to what's causing these mysterious noises, no scientific consensus exists as to their origins. Here, we'll look at some of those identified and unidentified noises that have been detected in the oceans, on land, in space, and on radio and television. Each has caused a level of controversy and mystery and allowed our imaginations to run wild as we speculate about the cause of the strange noise, recording, or broadcasts. 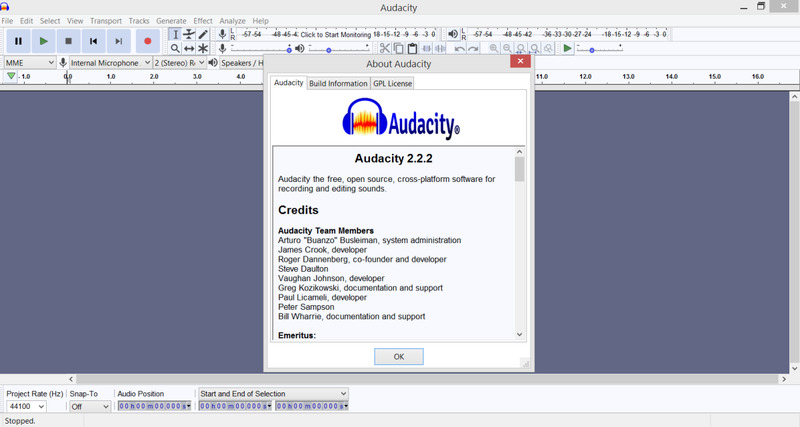 Where possible, audio samples have also been included. 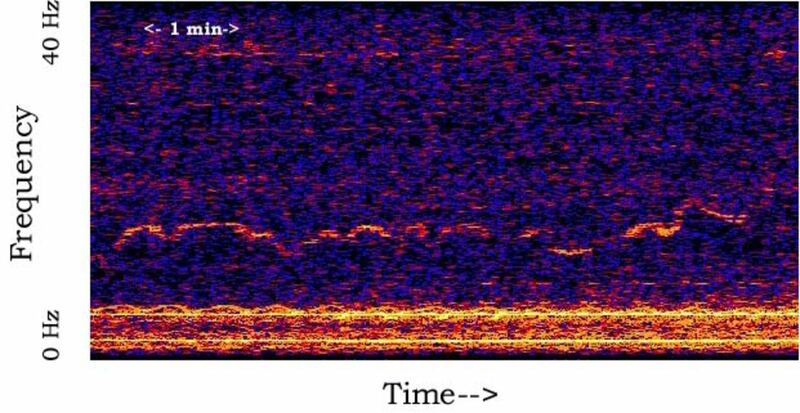 In 1989, William Watkins from the Woods Hole Oceanographic Institution noticed something unusual while sorting through some old US Navy whale recordings—a vocalization emitted at 52 Hz. This was significantly higher than most whales, which tend to vocalize between 17-18 Hz. Scientists have been able to effectively track the whale's movement due to its very unique vocalizations using a partially declassified US Navy hydrophone network built to monitor Soviet submarines as the sea creature travels from California to the Aleutian Islands off Alaska. So far, information about the creature is scarce. In fact, no one has ever seen it, and scientists remain uncertain of what species of whale could be emitting this higher frequency, though they have theorized that it may be a fin or blue whale. Researchers have dismissed ideas that it could be a new species or undiscovered life form. Instead, they suggest that the “lonely whale” is possibly a hybrid or malformed, causing it to communicate on a different frequency. In mid-2013 a group of filmmakers and scientists headed out to the North Pacific to try to locate the creature for their documentary Finding 52: The Search for the Loneliest Whale in the World”. To hear the haunting song of the 52-hertz whale (sped up 10 times) click here. Detected by sonar and recorded by submarines at various locations in the Southern Ocean for over five decades, the strange oceanic noise known as 'bio-duck' resembles robotic quacking. Down-swept pulses between 50 and 300 Hz characterize the sound pulses, ranging from 50-300Hz. The source of the bio-duck sounds remained a mystery for decades. Researchers theorized a range of possible sources for the noise, including submarines, fish, minke whales, and blue whales. In April 2014 researchers released a report that claimed to finally reveal Antarctic minke whales as the source of the bio-duck's quacking. To hear a sample of the bio-duck, please click here. In 1962 G.M Wenz described a mysterious "boing" sound that had originally been heard in the 1950s by US Navy submarines off of San Diego, California and Kaneohe, Hawaii. 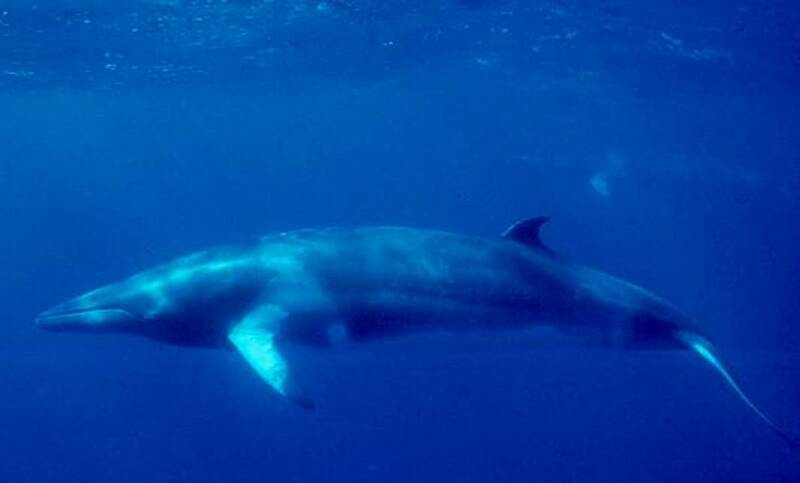 Despite receiving much public attention, the source of the sound remained a mystery for 50 years, until the Southwest Fisheries Science Center acoustics team followed the sound in 2002 and identified its source: minke whales offshore the Hawaiian Islands. 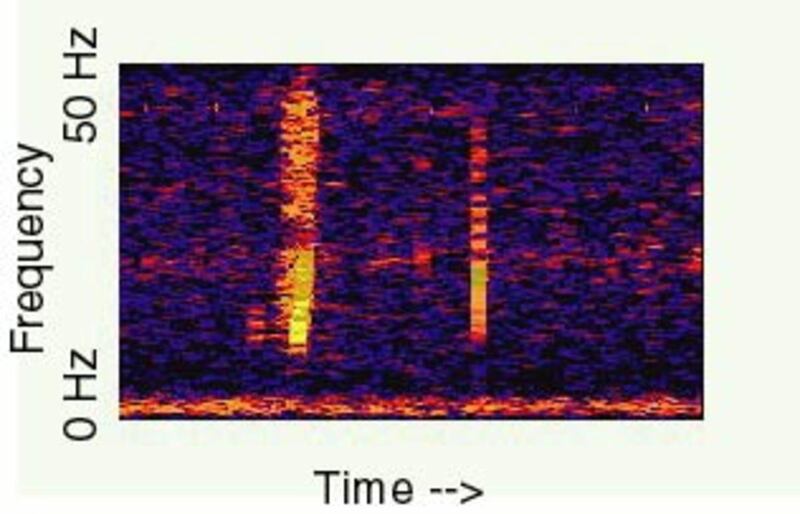 The Bloop is a low-frequency underwater sound and probably the most famous mystery noise ever recorded in the ocean due to the theories surrounding its source. The audio was captured in 1997 by two hydrophones around 4,800 kilometers apart with the point of origin believed to be off the South American coast. The Bloop sounds almost like gas or oxygen bubbles rising up through the water. Researchers have ruled out the possibility of it being caused by a bomb, submarine, volcano or earthquake. 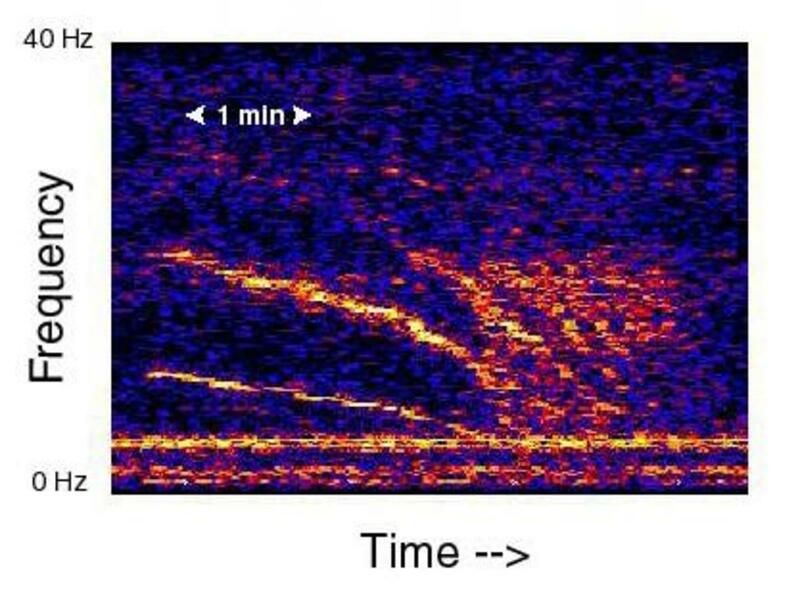 Researchers found that its audio profile sounded organic in nature and did resemble marine animal sounds, suggesting that maybe it was created by a living animal. As The Bloop was many times louder than any known creature, some people began to speculate that the noise may even belong to a large, undiscovered sea monster. Fans of legendary horror writer H.P Lovecraft joke that the sound originated from R'lyeh, a fictional sunken city that featured in his short stories. If R'lyeh were real, it would exist somewhere within the vicinity of where The Bloop occurred, and would house a gargantuan, monster-like entity known as "Cthulhu." 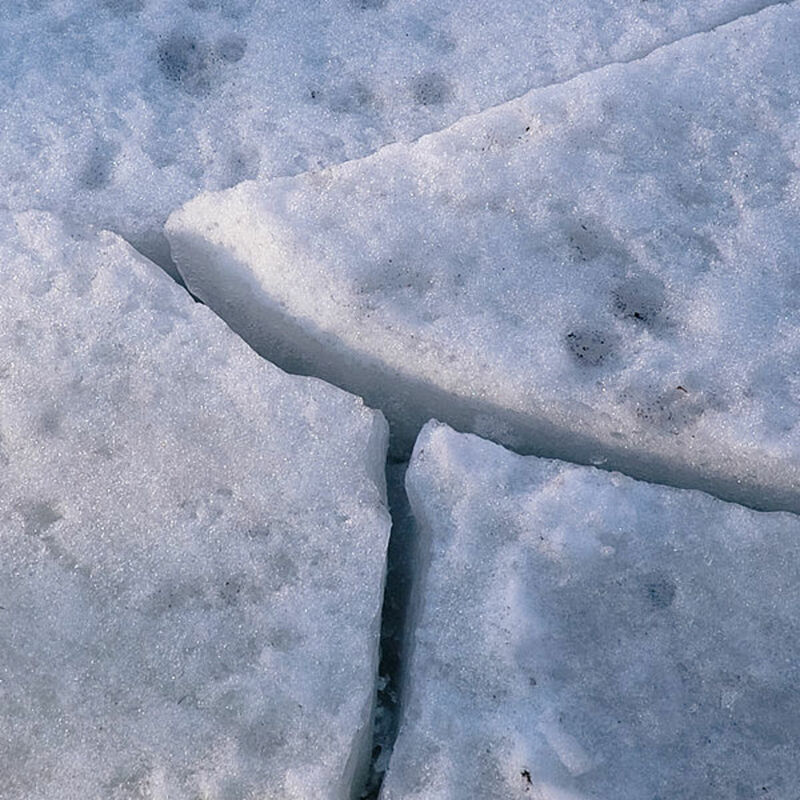 Unfortunately scientists dismissed the possibility of giant sea monsters and in recent years have suggested something far less interesting: that the most likely cause of the strange noise is an ice quake generated by large icebergs fracturing and cracking. To hear an audio clip of The Bloop (sped up 16 times), please click here. This strange cooing and whining sound was recorded by the eastern equatorial Pacific autonomous array on March 1, 1999. Its point of origin is believed to be somewhere between Bransfield Straits and Cape Adare. Scientists believe that the sound may have been caused by a large iceberg that has run aground off Antarctica. To hear an audio clip of "Julia" (sped up 16 times), please click here. This recording earns its name by slowly descending in frequency over about a sevven7-minute period. It sounds similar to distant wailing or something falling from the sky. It was recorded on May 19, 1997 on the eastern equatorial Pacific Ocean autonomous hydrophone array, and its point of origin is an area of the Antarctic Peninsula. Researchers believe that it may be an iceberg that has hit the sea floor and has slowed to a halt. To hear an audio sample of the Slow Down (sped up 16 times), please click here. This strange noise was named by ocean scientist Jason Gadamke, who thought it sounded similar to a laser blaster from Star Wars. National Geographic describes the sound as a cross between "beating on an oil drum and firing a laser gun," which results in a "mysterious ba-ba-boinnnngggg" noise. Though Gadamke originally believed that the sound had come from a ship, in 2001 he identified the source of the sound as dwarf minke whales. The sound is possibly part of their mating call. Imagine a train clickety-clacking across a seabed while tooting its horn—that's the image that came to people's minds while listening to a mysterious audio that was recorded in Antarctica's Ross Sea on March 4, 1997 by the eastern equatorial Pacific autonomous hydrophone array. While there is still some uncertainty in regards to what caused the strange noise, researchers believe that it was most likely a moving iceberg that was slowly dragging its keel across the sea floor. To hear an audio clip of The Train (sped up 16 times), please click here. Quite possibly one of the creepiest recordings from the deep, the Upsweep audio was first captured in 1991 and resembles a siren or howling from an unknown creature. Researchers have noticed that the Upsweep seems to be seasonal, reaching its peak in spring and fall. It Frequently occurs near inferred volcanic seismicity. Researchers are still unable to identify the origin of this strange noise. One theory is that Upsweep is result of hot lava reacting with cold seawater. 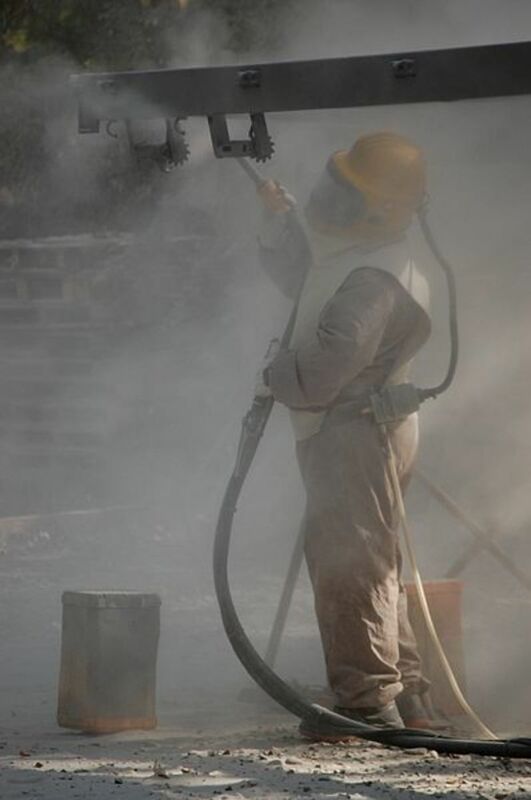 To hear an audio clip of the Upsweep audio, please click here. While it doesn't really sound much like whistling, this mysterious audio of what resembles distant whirring was captured by the eastern Pacific autonomous hydrophone in on July 7, 1997. Its point of origin is not known. Researchers believe that the whistle's undulating single frequency is similar to signals recorded during the eruption of submarine arc volcanoes, and that this may explain the cause of the sound. To hear an audio clip of The Whistle (sped up 16 times), please click here. Back in 2011-2012, I started hearing a mechanical humming noise throughout my house, similar to the low rumbling of a distant engine or generator. I only recall hearing the humming around my home and on some of the surrounding streets. It never seemed to cease and became increasingly annoying, especially at night while I was trying to sleep. When I mentioned it to anyone else in the house, they claimed they couldn't hear it. When I finally began trying to locate the source of the humming, I noticed that no matter where I went its volume never increased or decreased, instead remaining constant and seemingly omnipresent. Today I no longer hear the humming at all. So either the neighbors attended to a noisy diesel engine or generator that had been running 24/7 for nearly a year and could be heard at a steady volume across eight blocks; or perhaps I temporarily experienced one of the world's most annoying and maddening phenomenon known as "The Hum." Since the 1950s, people across the globe have claimed to be plagued by an annoying, low-frequency humming, throbbing or rumbling sound. It is mostly heard indoors in rural and suburban locations. The noise can get louder during the night, and it can also cease entirely upon leaving specific locations. Approximately 2 percent of people in hum-prone locations are able to hear the noise. Humming hot spots include Bristol, England; Taos in New Mexico, North America; Bondi in Sydney, Australia; Largs, Scotland; and Windsor in Ontario Canada. Medical experts have also suggested that it may be some form of tinnitus—a common ringing in the years that most people have experienced on occasions. Another theory is that the hum may be caused by trembling of the tensor tympani muscle in the ear. Dr. David Baguley, head of audiology at Addenbrooke's Hospital in Cambridge, estimates that environmental factors such a fridge, industrial fan, or nearby factory may be the source of at least a third of cases. Wilder theories suggest far more insidious causes, including secret military experiments, submarine communication, and alien activity. In 2010, Time Magazine listed The Hum as the 7th most annoying sound in the world (under Gilbert Gottfried's voice, which topped their list as the most annoying), while Livescience featured it in their "Top 10 Unexplained Phenomenon." Though it may sound like a minor inconvenience, many people claim that The Hum has had a massive negative impact on their quality of life by causing headaches, nausea, fatigue, dizziness, joint pain, nosebleeds, and sleep loss. Some individuals have even been driven to suicide. For centuries, people around the world people have reported hearing mysterious booms like those produced by a gun or cannon. They can sometimes be so powerful that they have been known to rattle windows and doors. Depending on which part of the world these noises occur, they go by a variety of names including mistpouffers in Belgium and the Netherlands; brontidi (or bartulio marinas) in Italy; barisal guns in England and Bangladesh; retumbos in the Philippines; seneca guns in North America; seeschießen in Germany; and uminari in Japan. The sounds are often, but not always, heard around water. Possible explanations include earthquakes, rock bursts, mud volcanoes, explosive venting of gas, storm-driven waves, tsunamis, meteors, collapse of underwater caves, large waves crashing upon the coast, distant thunder, and even singing sand (which is explored below). There's currently no scientific consensus as to what causes these noises. 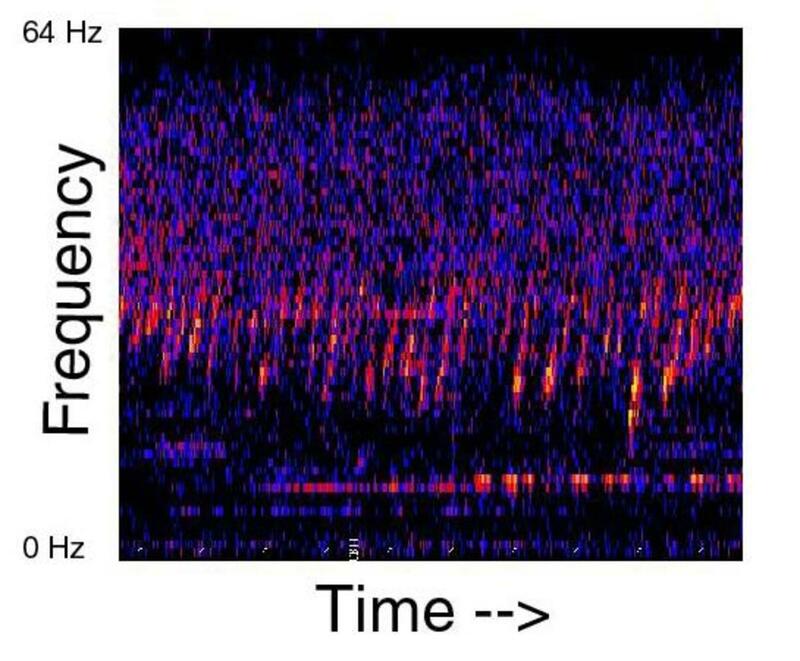 When it comes to recordings of mysterious noises, there's probably no subject more contentious and debated than the source of "Electronic Voice Phenomenon." EVP can be just about anything including what may sound like footsteps, growling, a door slamming or even one or more voices. People detect these sounds only while reviewing audio and visual recordings—they're never heard by anyone present at the time of the recording. There is a range of explanations as to how these mysterious noises suddenly appear on recordings without anybody hearing them beforehand. The most popular explanation is that these voices and noises are created by ghosts speaking from beyond the grave on frequencies inaudible to the human ear, which only become audible during playback. This idea has been around for a long time with a notable example of an early EVP being that of Friedrich Jurgenson, who claimed that in 1957 he captured the voices of his deceased parents while trying to record bird sounds. Jurgenson had originally assumed that the voices were stray radio broadcast signals until they seemed to address him personally. Those skeptical that EVPs are indeed voices of the dead have offered several other theories including stray radio waves, hoaxes, cross modulation, and interference from nearby radio sources. The most common explanation is auditory pareidolia, when people misinterpret random noises as familiar sounds and language. Please click here to find a controversial audio clip that was released in 2011 and which was dubbed by About.com as "the most horrific EVP ever recorded." What you're supposed to hear is a violent attack between a man and a woman, which apparently wasn't detected by the investigators while they were in the room. Below is the video footage of several other strange EVPs. Be warned that some people may find these recordings disturbing. Speaking of messages from beyond the grave, on the night of February 10, 1970 in South Vietnam's Hậu Nghĩa Province, the jungles came to life with a seemingly omnipresent racket of eerie funeral music, booming laughter, powerful shrieks, and sorrowful wailing. Piercing through this creepy cacophony of ghostly noises were otherworldly and echoing voices from a young girl and a dead Vietnamese man warning his still-living comrades that he was currently in hell and that they should return home immediately, lest they end up like him. Sounds terrifying—except it was all man-made, and there's no mystery as to who created this frightening recording. Exploiting a traditional Vietnamese belief that spirits can never be in peace until their bodies are buried, the noises were produced during the Vietnam War by North America's Psychological Operations division. The audio was blasted over loudspeakers by light air crafts as they passed over Vietnamese villages in the hope that superstitious inhabitants and Vietcong soldiers would believe that the voices were coming from their ancestors and that they would follow the message's instructions and retreat. 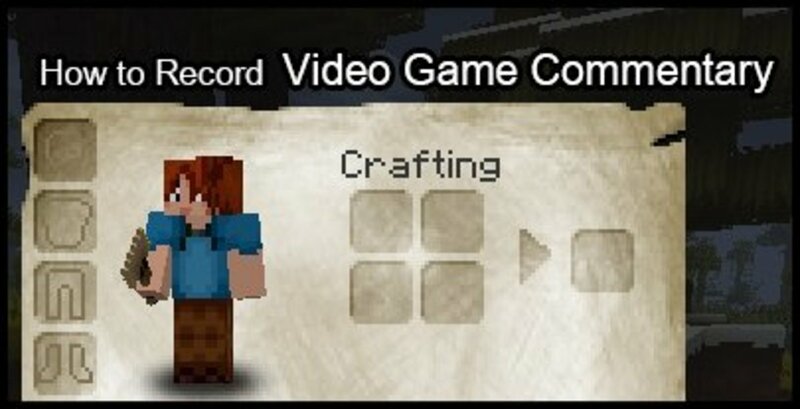 Though the recording is not genuine, it's none-the-less creepy. The translation of what is being said is even a little disturbing. Since the world-famous Yellowstone Park in Wyoming, USA opened in 1872, there have been records of a strange ominous whispering emanating from the Yellowstone and Shoshone Lakes, described as a cross between a "whistle and a hoarse whine." Previous accounts describe the whispers as beginning in the North, growing increasingly loud as they sweep over the area, and then becoming more-and-more faint as they move away in the opposite direction. In 1890, Professor S.A Forbes said that the sound resembled a "clang of a harp lightly and rapidly touched high up above the tree tops, or the sound of many telegraph wires swinging regularly and rapidly in the wind, or, more rarely, of faintly heard voices answering each other overhead." According to a 1915 account of the phenomenon by Captain Hiram Martin Chittendon, the sound seems to have a general motion through the air, beginning from North to South, with a noise resembling the ringing of telephone wires or buzzing of bees. The "whispers" have actually been heard fairly infrequently over the years, but it's believed that they occur most regularly between dawn and 10 AM in the morning. Early trappers in the region were apparently aware of the phenomenon, and Native Americans considered it a sacred occurrence. Theories on the cause of the sound include flocks of birds in flight, erupting volcanic gases, seismic activity, and the grounding of static electricity in the lake. Of course, there are also ghost stories associated with the phenomenon that suggest that the sound is produced by spirits of Native Americans or drowning victims. If you found yourself a little creeped out by the last couple of entries, then it's time to relax and calm your nerves to a musical interlude by an obscure little instrument known as "The Aztec Death Whistle." Sounds innocent enough, right? When played, the sound that comes out from these whistles is, well, unique, startling, and fairly disturbing. For anyone who enjoys listening to the bloodcurdling, tortured, and tormented screams of the dead, this instrument will be highly entertaining. For everyone else, well, they may not find this instrument quite as pleasurable. For further details and to hear a sample of the lovely melody produced by this perfectly ordinary human skull-shaped whistle, check out the video below (he starts playing the instrument at around 0:48). 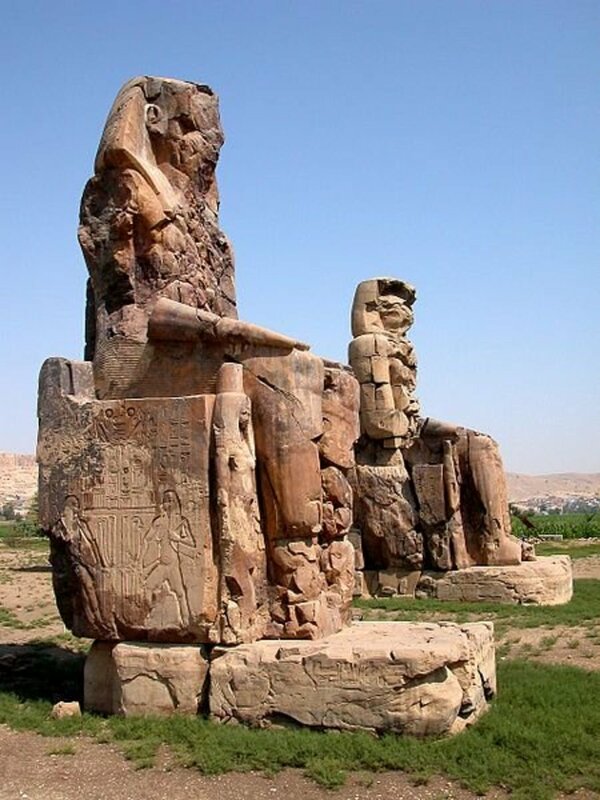 On the opposite side of the Nile from the ruins of Karnak, located near the modern-day Egyptian city of Luxor, sit two 23 meter (75 foot) tall one-thousand-tonne statues, which were built by Amenhotep III in the 13th Century BC to guard a mortuary temple. Historically, people believed that one of these statues could produce mysterious sounds or speak, leading to the monolith nickname, "The Vocal Memnon." Despite being an effigy of a Pharaoh, the talking statue did not receive much attention until after the Roman conquest of Egypt—it was revered by Greeks and Romans and not Egyptians. 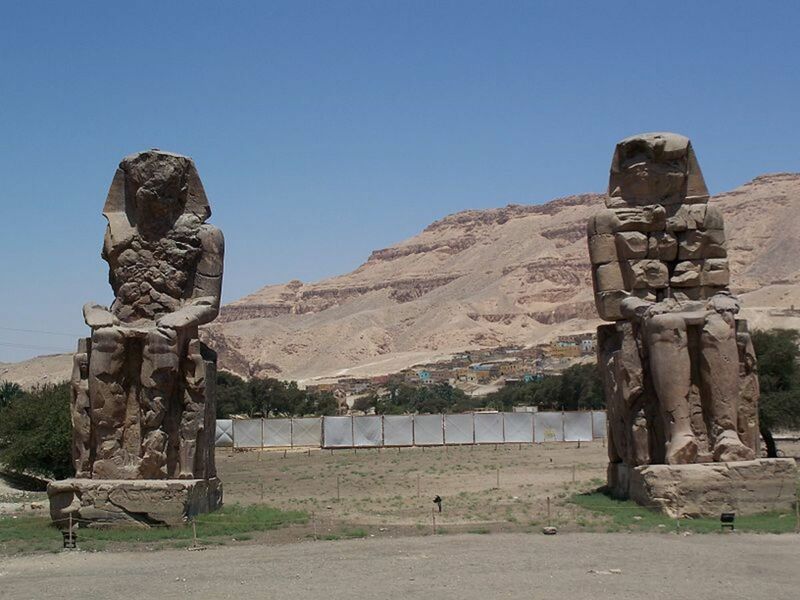 Even stranger is that the Greeks associated the site with the demi-god Memnon, even though both statues were built to resemble Amenhotep III. According to legend, Memnon led an army in Troy's defense during the Trojan War but was defeated by Achilles. Pressured by Memnon's mother, Eos, the Goddess of Dawn, Zeus decided to allow Memnon to live again, though only during sunrise. An earthquake in 27 BC significantly damaged both statues, causing one of them to split in half, leaving only the waist down. People claimed that they could hear this half-a-monolith speaking during the first few hours of the dawn, and the Greeks came to believe that this was Memnon, enjoying his brief moments of life each day, as promised by Zeus. 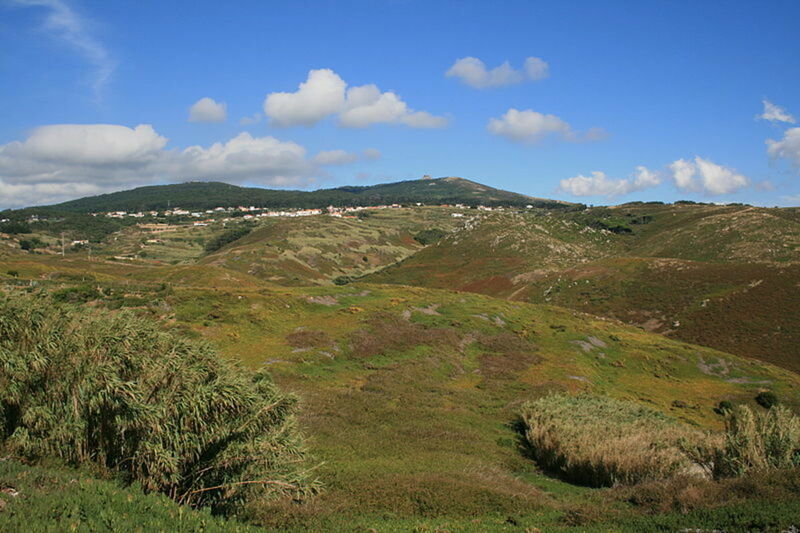 The site was visited by thousands of people, including poets, generals, and emperors. Visitors include Roman Emperor Hadrian and his wife Sabina, historian Tacitus, and Greek geographers Strabo and Pausanias. There are 87 legible inscriptions in Greek and Latin carved into the stone, which include testimonies from people who claimed to have heard Memnon and the day and times that it spoke. The sounds emitted by the statue were believed to be Memnon greeting his mother and were said to sound like someone striking brass or snapping a harp string. The phenomenon ended when the statue was repaired by Emperor Septimius Severus in 199AD. The phenomenon inspired many poets, writers, and other artists, though the source of the mysterious sound is currently unknown. It's difficult to investigate since it has not been heard for over 1800 years. The most likely explanation is that the noise was produced by a change in temperature during dawn, which reacted with the many cracks and fissures in the statue's bottom half, caused by the earthquake in 27BC. In deserts throughout the world, many people have heard a bizarre low-pitch droning coming from the sand dunes. Italian explorer Marco Polo heard it in the Gobi Desert in the 13th century and described the strange noises as sounding like "all kinds of musical instruments, and also of drums and the clash of arms." In Central Asia, these sounds were attributed to malignant spirits, evil demons, and goblins. Today, this phenomenon is known as "singing sand" (though there have been reports of sand booming and barking as well). It is created by grains cascading down the sides of the dunes either by the wind or people walking and sliding down. Presently, certain sand dunes are known to emit these noises for up to 15 minutes (long after the sand avalanche has stopped) and can be heard around 10 kilometers away on a daily basis. Singing sand is mostly made up of dry and clean well-rounded grains of quartz. Around 40 locations worldwide are known to produce this phenomenon, though it doesn't occur through the whole year or across the entire dune. Sound frequency tends to range from 65 to 120 Hertz, and their volume can reach 110 decibels, with researchers noting that its tone can also change according to season. People have likened its low-frequency droning to that of an airplane. However, there is still no consensus as to how the sand is able create sounds what resemble musical notes. A similar phenomenon is squeaking sand at beaches, which is heard while people walk across it (an effect I was fascinated with as a kid, while visiting a location called 'Squeaky Beach during a family vacation). This auditory phenomenon was discovered in 1839 by Prussian Physicist Heinrich Wilhelm Dove. The theory suggests that when a person hears two separate tones in each ear with only a slight difference in frequency the auditory brainstem creates a third "phantom" sound that exists solely in the head of the listener and can only be heard by that individual. These binaural beats are electrical signals created by the two hemispheres of the brain working together and have a frequency equal to the difference between the original tones played in each ear (which themselves must be under 1500Hz). For example, if one tone was 300 Hz and the other 310 Hz, the third mystery tone will be 10 Hz. Though not everyone is able to hear binaural beats, those who can detect them may experience a range of positive and negative effects. Researchers have associated these tones with enhanced mental function, problem solving, concentration, alertness, relaxation, and states of arousal. Some even see binaural beats as a digital drug that can allow the listener to feel a high sensation. Listen to this recording and then consider the word you just heard repeated. I personally hear a computerized voice repeating the words "help me" in a continuous loop. Despite hearing the same sound as myself, many others have interpreted it to be saying something wildly different and dissimilar from what I picked up. These include words such as window, welcome, love me, run away, no brain, rainbow, raincoat, bueno, nombre, when oh when, mango, window pane, Broadway, Reno, melting, and Rogaine. If played in stereo with a loudspeaker placed to a person's left and right, some have reported that after a while they'll begin hearing new voices with different accents, sounds, and musical notes speaking in both native and foreign words. Researcher Diana Deutsche found that test participants have generally tended to hear phantom words that reflect their thought, circumstances, or personalities while hearing that sound. So people who are hungry or tired at the time may hear words reflecting these feelings. Funnily enough, Deutsche found that female participants were more likely to hear words associated with love while males often interpreted the sound as a sexually explicit phrase. In 1986 Deutsch also discovered a similar auditory illusion known as the 'Tritone Paradox'. Deutsch has found that when these four pairs of notes are played to a group, listeners interpret these sounds differently causing them to disagree on whether the pitch is ascending or descending. This phenomenon has even flummoxed professional musicians. In Russia's history, Siberia was a place mostly reserved for political prisoners and exiles, a punishment considered so harsh that some even saw its inhospitable wintry landscape as hell on Earth (supposing that hell had frozen over, of course). So it was somewhat of a coincidence that in the early 1990s stories started circulating about a group of scientists who had located hell not on Siberia's surface but below it, deep underground. The story goes that in 1989 geologists, digging what's believed to be the Kola Superdeep Borehole were startled after drilling around 12-14 kilometres into the Earth's crust. Sensors recorded a massive temperature spike to 2,000°F (1,100°C) accompanied by what sounded like masses of people screaming and wailing in pain and torment. The scientists then watched in horror as a massive cloud of gas burst out from the ground and formed itself into a large monstrous bat, which then wrote in Russian "I have conquered" in fiery letters across the night sky. The media sources most credited for reporting the story are a Finnish Christian publication known as Ammennusastia and TBN, a North American Christian broadcast network. For many people, this whole episode of scientists finding hell by digging a really deep hole seems as plausible as reaching heaven with a really tall ladder. Unsurprisingly, the account is often dismissed as a hoax, created by Christian organisations to spread fear of the Devil. Regardless of whether it was based on some actual event or it was totally fake, the well to Hell tale can still be credited for creating some of the freakiest audio recordings to ever be broadcast on radio as an alleged true event. Below is a 2002 recording of U.S radio program "Coast to Coast AM," during which announcer Art Bell reads out an email he received about the incident from a listener, before broadcasting a short audio clip of the alleged sounds from hell. Be warned that it is very loud, so I recommend you turn down your speakers. 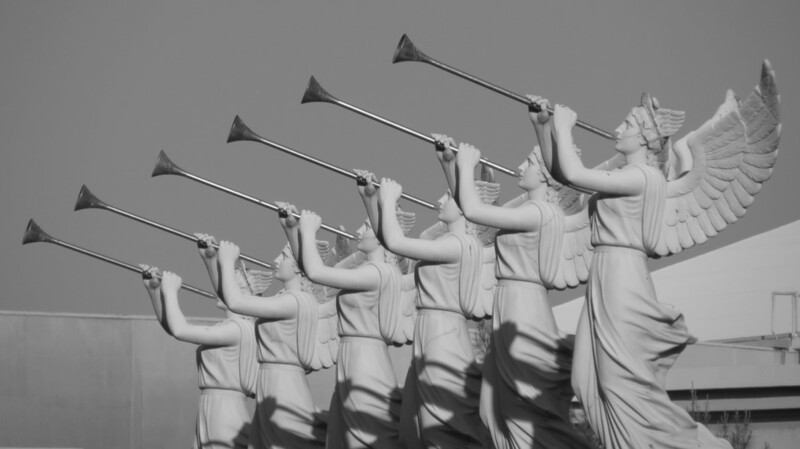 The end is nigh, and trumpets sound from upon high—well not really, though apocalyptic theories and biblical passages are being spouted in many comments on a number of strange videos uploaded to the Internet since 2011. The videos are usually set in fairly serene environments such as suburban neighborhoods, but the tranquility is broken by a variety of loud noises seemingly emanating from the sky. The sounds range from a distant wailing to screaming, to something resembling a demented orchestral score. Commonly referred to as "sky trumpets" and "skyquakes" (though the latter is also used to describe the mistpouffers phenomenon as well), there are several theories on what is causing the strange noises that have been heard in numerous incidents spanning the globe from Kiev, Ukraine to Florida, USA. Many people have dismissed these videos as hoaxes and some audio samples have been debunked as fake. Others have suggested that the sounds may be caused by sound pollution, electromagnetic noise from auroras and radiation belts, acoustic-gravity waves, shifting tectonic plates, high-tension electric power lines, polar shifts, and strong winds generated between hot and cold layers in the upper skies. As it doesn't seem to take much more than a noise for people to begin speculating that sinister forces are at play, naturally there have also been a whole bunch of conspiracy and doomsday theories as well. These include allegations that noises are caused by NASA and The High-Frequency Active Auroral Research Program while conducting secret weapon experiments; a prelude to a full alien invasion; a sign of the second coming; proof that the Book of Revelations is about to come true; or even that the New World Order is testing mind control devices provided to them by a malevolent extraterrestrial force. In forested areas, some people have suggested that the noise could be created by presently undiscovered creatures, such as sasquatches or other cryptids. A recent internet video shot in Terrace, Canada received a lot of media attention back in August 2013 for capturing a cacophony of what sounded like painful wailing, fingers down a chalk board, and a talent-lacking brass section simultaneously resonating through suburban streets. However, the council took responsibility for the noise, claiming that it was a city worker grinding down a grader blade. The video's uploader is skeptical of the explanation. Currently, the sounds haven't received much attention or consensus from investigators or the scientific community, so the cause of many of these sounds remains unknown. During the winter from late December 2013 to February 2014, residents in the Northeast and upper Midwest North America reported hearing strange noises that some have described as sounding like large snowballs falling from the sky and hitting their house. Others have described the racket as a phantom figure banging on their houses; a sonic boom; an earthquake-like rumble; cracking similar to that of a falling tree; or even the sound of a bomb going off. On some occasions, this sound is accompanied by flashes of light. Scientists say that these experiences are the result of a rare natural phenomenon known as a "frost quake" or "cryoseism," in which moisture in the ground suddenly freezes and expands, cracking the soil or bedrock with such force that sometimes it creates loud booming and cracking sounds. The light that some people have seen at the time of the quake are believed to come from electrical changes that occur when the freezing compresses rocks. I remember when I was considerably younger, sitting at home listening to a CD of The Beatles' album Sergeant Pepper's Lonely Heart's Club Band for the first time. After the last song finished, I was totally unprepared for a hidden track that played a bizarre high-frequency jumble of noises several times in a loop. According to the booklet that came with the CD, the track was included in the original album by John Lennon with the intention of annoying any dogs in the vicinity. As a kid I found the seemingly random assortment of sounds a little unsettling, as the hidden track resembled human speech with what sounded like a female voice continuously repeating indecipherable gibberish. Later I heard of a phenomenon known as backmasking, where playing certain albums backward allegedly reveals secret messages. In the case of the hidden Beetles track, playing that section backwards sounds like a woman saying over and over again, "Will Paul be back as Superman?" (see video below). This secret "message" has been seen by conspiracy theorists as a clue in the urban legend that Paul McCartney is dead. Backmasking dates back to the 1960s. In most cases, it is a deliberate recording technique used by bands for comedic effect. An example is Pink Floyd's "Empty Spaces,", which includes a section of incomprehensible conversation when played normally, but reversing it gives the following message: "Congratulations. You have just discovered the secret message. Please send your answer to Old Pink, care of the Funny Farm, Chelmsford." Sometimes bands have been accused of including subliminal messages in their music—messages that can be heard plainly when playing the music in reverse. The most infamous controversy is Christian lobbyists' attack on Led Zepellin's rock classic "Stairway to Heaven," which they accused of being satanic in nature because, when a portion of the song was played backward, it sounded like a love letter to the Devil. To hear the section of the song forwards and backwards please click here. Much like EVPs, the most popular explanation for people interpreting backwards language as secret messages is pareidolia, where people recognize familiar patterns and connections in random sights and sounds, leading to incorrect interpretation of visual and audio stimuli. This can result in people seeing faces in clouds or hearing spoken words in what is essentially just noise. Nonetheless, there's currently a school of thought known as "Reverse Speech" led by David John Oates, which claims that people are only truthful when their speech is reversed. Prepare to have your head done in by this bizarre auditory illusion. Discovered by cognitive scientist Roger N. Shepard in 1964, these tones sound as if they are infinitely ascending or descending in pitch. In actual fact, what we're really hearing is a continuously looping scale of tones, each separated by an octave and comprising of individual notes played simultaneously and at varying volumes. So the scale of tones are being cycled over-and-over again. Despite what we believe we're hearing, they are not endlessly ascending or falling in pitch, though it may seem this way as listeners judge subtle changes in pitch by comparing notes directly to the preceding tone rather than tones from 20 seconds ago or longer. The Shepard tones has been likened to visual illusions The Barber's Pole and Penrose's Impossible Staircase as it involves infinite repetition of the same pattern, which creates the illusion of something going up or down without end. Much like Binaural Beats, these auditory hallucinations are only heard within heads of individual people. Generally, when we hear sounds, the ear is detecting sound waves, converting them into electrical signals or nerve impulses and transmitting them to the brain. In the case of hallucinatory voices, sound has no physical source and is entirely created and processed within the brain, even though people may feel that they hear these noises through their ears. According to a 2014 study, the voices' attitudes can be affected by cultural context. For example researchers found that many Indians and Africans described the voices in their head as positive and benign, while many Americans found them to be aggressive, hateful and violent. Regardless of whether they are positive or negative, these voices can affect every facet of life for those who hear them and are most commonly associated with schizophrenia. For most people without a mental illness, it can be hard to understand what those who suffer from auditory hallucinations are actually experiencing on a daily basis. 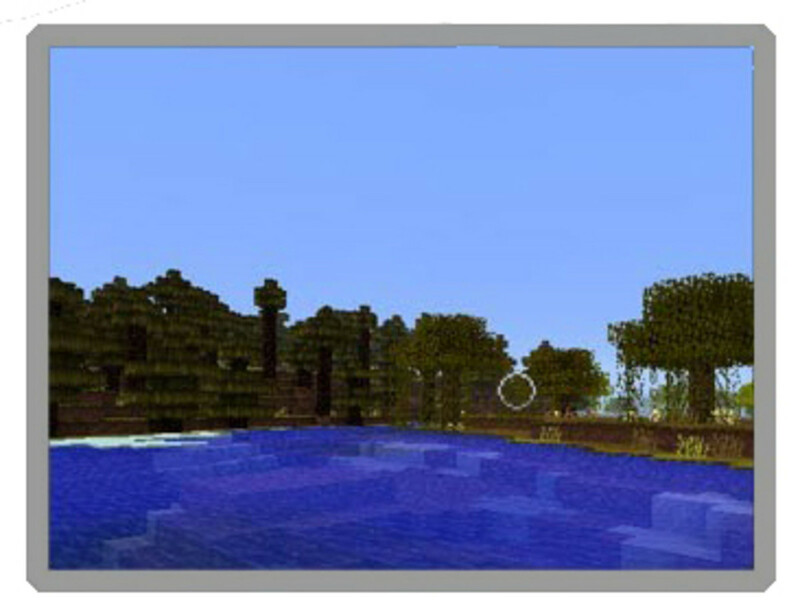 Now a number of simulations exist that allow anybody to experience what an auditory hallucination may actually sound like. Needless to say, it's nightmarish, creepy, and disturbing. No need to worry: We're neither talking about the sound of people's heads physically exploding nor noises so loud that they can literally make a person's cranium spontaneously combust. Exploding Head Syndrome is a term used to describe an auditory experience in which a sleeping person will jolt awake at the sound of a deafening bang or loud explosion that can be heard only by them. Awakening to such a noise can be a truly frightening experience—so much so that some people have reportedly believed they were having a seizure or subarachnoid hemorrhage. Others have even believed that they were under attack by a paranormal or sinister force with an energy weapon. Though the experience was first described in 1920, the real cause for the noise has never been widely researched. Some speculate it is tied to stress and fatigue and that there is a possibility exploding head syndrom are also connected to minor seizures affecting the temporal lobe or sudden shifts in middle ear components. Prior to 2015, the syndrome was widely believed to occur mostly in adults over the age of 50. However, in a 2015 study, researchers argue that exploding head syndrome is more common in younger people than previously thought. They further suggested that the cause may be due to the brain failing to shut down properly during sleep. Rather than turning off its motor, auditory, and visual neurons in stages (much like a computer) it instead fires off the neurons responsible for sound all at once. This in turn is interpreted by the brain as a loud blast. Really quite mind-blowing (apologies for the terrible pun, but it had to be done). Like the last entry, this term sounds potentially disturbing or threatening—one could imagine a parasite that burrows itself into a person's brain. In actuality, a brainworm or earworm refers to sounds that repeat in a person's head long after they were initially experienced. It's a very common sensation and is mostly associated with music, when a person hears a song looping over-and-over again in his or her mind. People sometimes go for days, weeks, years, and even decades, without getting the lyrics or melody out of their heads. This odd recording may sound like someone gurgling while attempting to sing under water. However, this sound is unlike most in this article, as there is no mystery as to what created it. It's still notable, however, as it's considered the earliest known audio recording of the human voice, produced on a phonautograph by Édouard-Léon Scott de Martinville around 1860 with a now very distorted version of the French folksong "Au Clair de la Lune." This sound only exists in theory, though there are conspiracy theorists who suggest that some world governments have developed technology that can produce the brown note and use it to subdue protestors. The brown note is meant to be an infrasonic frequency between 5 to 9 Hz (a frequency too low for us to hear) that supposedly corresponds to the resonant frequency of the human colon, resulting in nearby people immediately emptying their bowels. The theory has been tested by Brainiacs and Myth Busters, who found that the brown note did not achieve its rumored effect. While there's little proof that the brown note works, a noise that can be accused of subduing and deterring the masses is The Mosquito. While this sound is well understood, and there's nothing mysterious or unknown about it, The Mosquito can be baffling for those who hear it in public areas when nobody else seems able to. Originally created in 2005, The Mosquito is a high-frequency noise created purely annoy people under the age of 25 who may be loitering in public places. The sound can convince youths to move on, but youths also use it to their advantage, since some have adopted it as a ringtone that can only be detected by their age group. While the original mosquito security device could only be heard by people aged 24 and below, today devices exist with a wide range of different frequencies to annoy a larger percentage of the population, so as not to discriminate against youth. 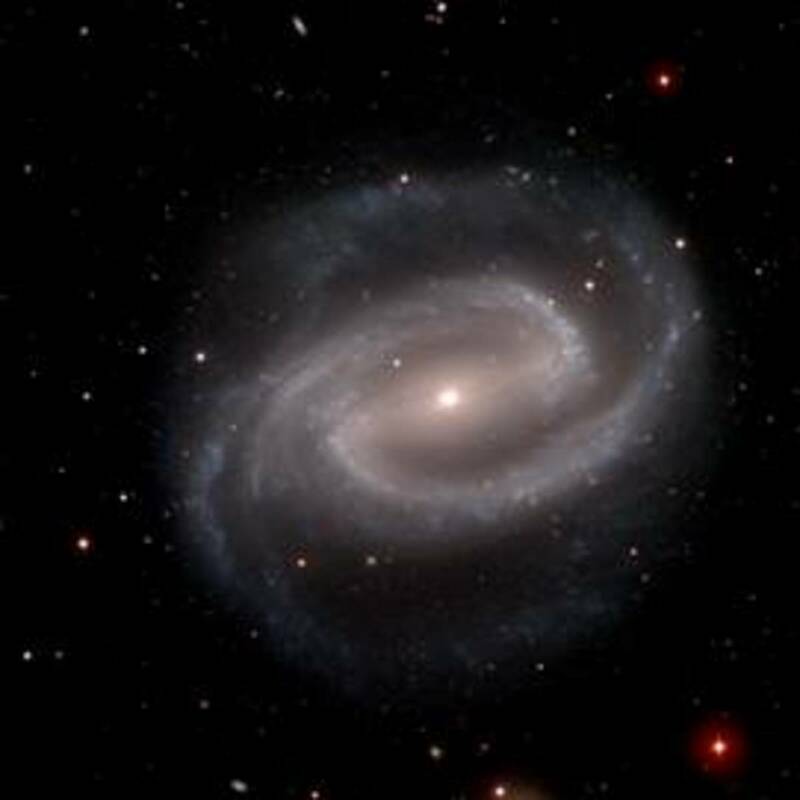 While sound doesn't travel in space, the galaxy is actually a fairly noisy place thanks to just about every galaxy, celestial body, and anomaly emitting radio waves. These signals can't be heard by the human ear without the use of special equipment to detect and record them first. On the 15th of August 1977, scientists working with the Big Ear Telescope at Ohio State University recorded a 72-second transmission originating nearly 200 light-years away from Earth near the constellation of Sagittarius. The computer recorded the varying intensity of the electromagnetic signal as it hit the receivers, which was represented in a 6 digit code: '6EQUJ5'. Low power signals are represented with numbers ranging from 1-9, but as it exceeds a power level of 10, letters are used instead, with 'A' representing '10'; 'B' representing '11' and so on. This signal therefore grew in intensity from '6' then reached its peak at 30 (the highest power signal ever recorded by the radio telescope and represented by 'U' in the code) and then decreased to '5'. 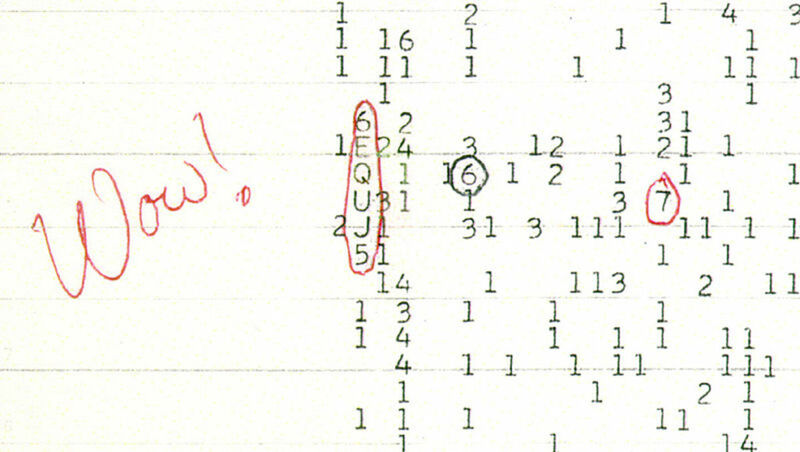 It was so unique and looked so similar to how previous scientists predicted an extraterrestrial message would look like, that astronomer Jerry R. Ehman circled the 6EQUJ5 code and wrote "WOW" next to it. Researchers have considered a wide range of possibilities on the origin of the sound, including satellite transmissions, aircraft signals, space debris reflecting ground-based radio transmissions, and terrestrial TV and radio signals. However, none of these theories fit. To this day, the signal has never again been heard, and its source remains unidentified. While basically all the planets emit radio waves, none is quite as creepy or unsettling as those radiating from Saturn. With eerie noises that sound like something ripped right from a 1950s B-horror or sci-fi movie (minus the theremin and cheesy narration) and an incredible array of variations in frequency and time, the radio emissions were originally detected by the Cassini Spacecraft in 2002. Scientists believe that the waves are closely linked to the auroras near the planet's poles and that their rising and falling tones are similar to Earth's own auroral radio emissions. 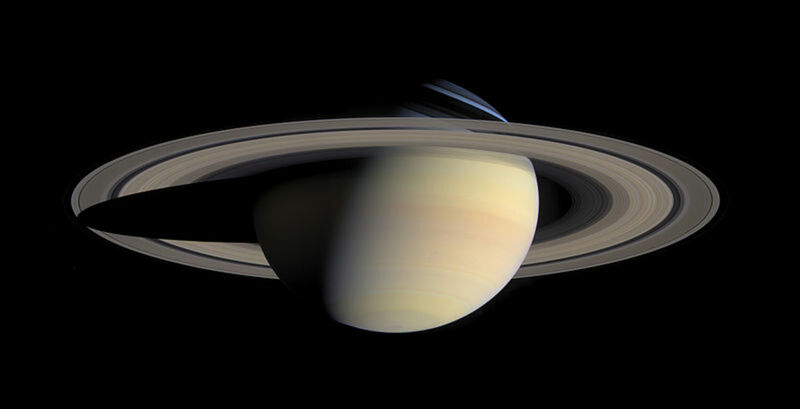 To hear an audio clip of the eerie sounds of Saturn, please click here. In 2007, scientists were baffled by a millisecond extragalactic radio burst, originally recorded in a 2001 radio survey of the Small Magellanic Cloud, a nearby dwarf galaxy, and discovered six years later by astronomer Duncan Lorimer. Researchers speculated that the burst's origins could be as far as several billion light years away. In July 2013, four similar flares were observed by astrophysicist Daniel Thornton, who told Popular Mechanics that the fast radio bursts originated from way outside of the Milky Way and may have taken half of the universe’s life to reach us. 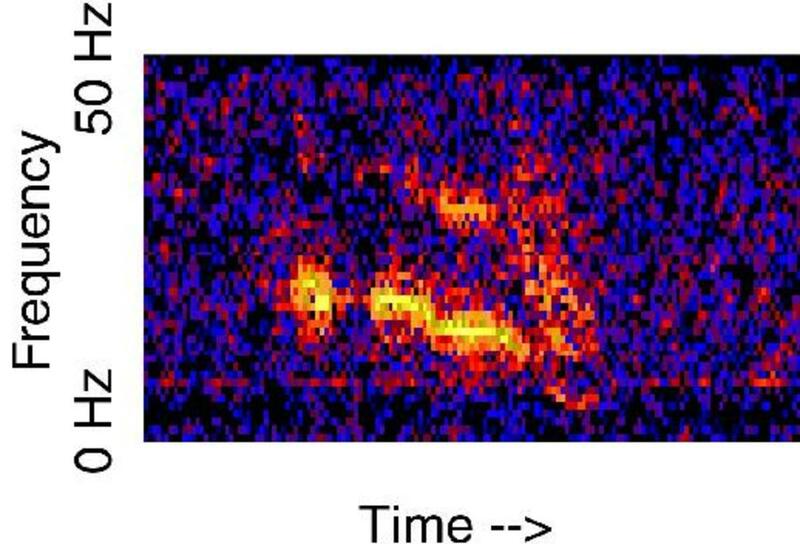 The CSIRO, who captured this series of bursts on the Parkes Radio Telescope, suggests that they may occur every t10 seconds. Scientists have occasionally heard fast radio bursts over the years, though generally only after they've been recorded (the first time they were ever heard live was in January of 2015). Currently, the origins of these radio bursts remain unknown though researchers theorize that they may be caused by "explosive events" and possibly highly magnetic neutron stars known as magnetars. These rare and extremely dense husks of past supernovae occasionally explode and give off more energy in a millisecond than the sun does in 300,000 years. There are those who believe that currently hurtling through the void of space are the lifeless remains of several preserved human astronauts, former collaborators of a secret Soviet space program from the 1950s and '60s. Russian officials have never revealed any evidence that proves the existence of such a program, but this hasn't stopped rumors from thriving for over 50 years. There have been a number of allegations that such a space program was real and that it led to a number of deaths. The most evocative and famous controversy is the one surrounding the Judica-Cordiglia recordings. Other recordings include what sounds like an SOS signal on November 1960 and possible gasping of a suffocating cosmonaut in February 1961. Many have cast doubt that these voices belong to Russian personnel as the voices don't follow transmission protocol and the astronauts who allegedly died were apparently only technicians and trainees involved in the development and operation of space hardware. The desperate female voice captured in the Judica-Cordiglia Brother's famous recording remains unidentified. Another space enigma known as radio source SHGb02+14a for both its mystery and its overly complicated name, which is almost impossible to remember. Though its potential for being an extraterrestrial signal was highly exaggerated by the New Scientist, in 2004, radio source SHGB02+14a was found to be the only persistent signal from the best 200 candidates recorded by the Arecibo radio telescope and detected by the SETI@home project. The signal was detected between the Pisces and Aries constellations, without any nearby stars in that vicinity. Its frequency is around 1420 megahertz—a principal frequency that hydrogen readily absorbs and emits as energy. Some scientists have theorized that it's a frequency that aliens may use. Unfortunately, it's been dismissed by SETI as a potential extraterrestrial transmission, and its origins remain unidentified. The Rosetta Mission to 67P/Churyumov-Gerasimenko is a landmark moment in space exploration, as it marks the first time a probe landed on a comet. Having traveled 6.4 billion kilometers since its launch in March 2004, the spacecraft finally made it to its destination at Comet 67P in August of 2014. However, as the Rosetta spacecraft came within 100km of 67P, it recorded a strange song emanating from the comet's surface. So is this mysterious drilling or clicking some form of alien communication? Some ufologists and conspiracy theorists not only believe this to be the case but also argue that 67P is not a comet at all, but a spacecraft. Of course, this argument has not received wide acceptance. Scientists instead believe that the sounds are oscillations in the magnetic field around the comet, possibly as a result of releasing neutral particles into space, causing them to become electrically charged through ionisation. However, further research is required to validate this theory. For now, the cause of this strange sound remains unknown. 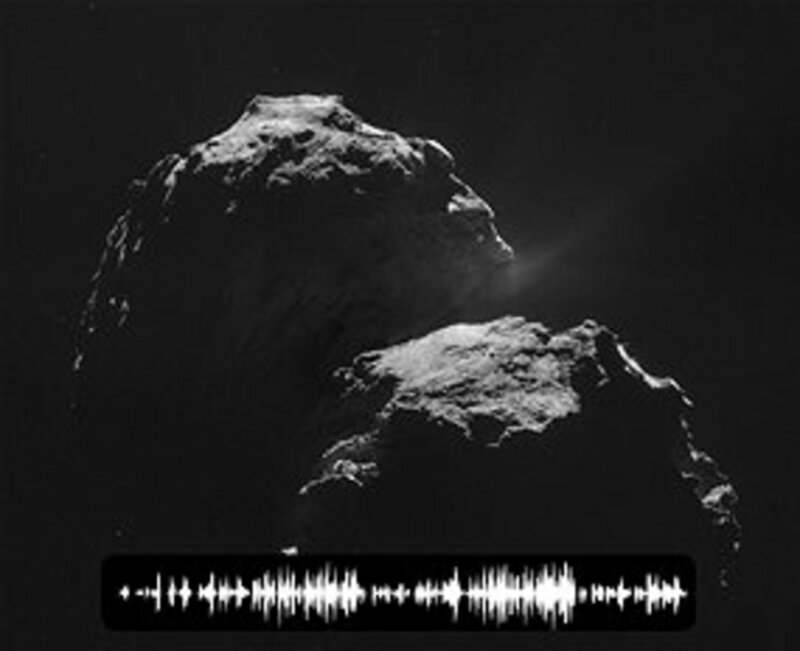 To hear Comet 67P sing, please click here. In case Comet 67P's song isn't is to your liking, here's another melody coming to us from the energetic particles in our planet's magnetosphere. Known by scientists as the chorus, this phenomenon has been known for decades. It's a fascinating sound. To hear the Earth's chorus, please click here. In 2006, a balloon-borne instrument known as Absolute Radiometer for Cosmology, Astrophysics, and Diffuse Emission (or ARCADE) was launched from NASA's Columbia Scientific Balloon Facility in Palestine, Texas. It proceeded to fly upwards toward an altitude of 120,000 feet to measure the heating of the universe by first-generation stars. In 2009, researchers reported that ARCADE had detected radio signals booming six times louder than any researcher had expected encounter. Scientists ruled out primordial stars and gas in the outermost halo of our own galaxy as a possible sources for the booming, leaving the cause and origins of these mysterious signals a mystery. This phenomenon has gone on to be called the space roar. This mysterious shortwave radio signal was first reported in 1982, but may have been on-air as early as 1976. 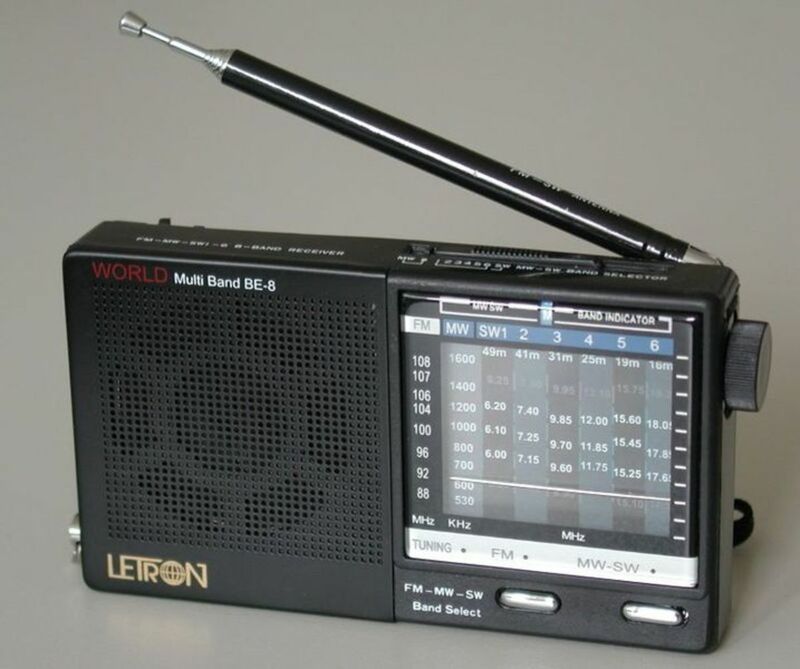 Instead of broadcasting the latest hits or witty banter from energetic DJs, it continuous transmits a buzzing sound approximately 25 times every minute on the frequency 4625kHz. For this reason, it's been nicknamed 'The Buzzer'. The buzzing is interrupted intermittently by a voice speaking in Russian and reading out code that usually consists of a series of names and numbers. Occasionally, shortwave enthusiasts have heard music from Swan Lake either in the background or being broadcast. 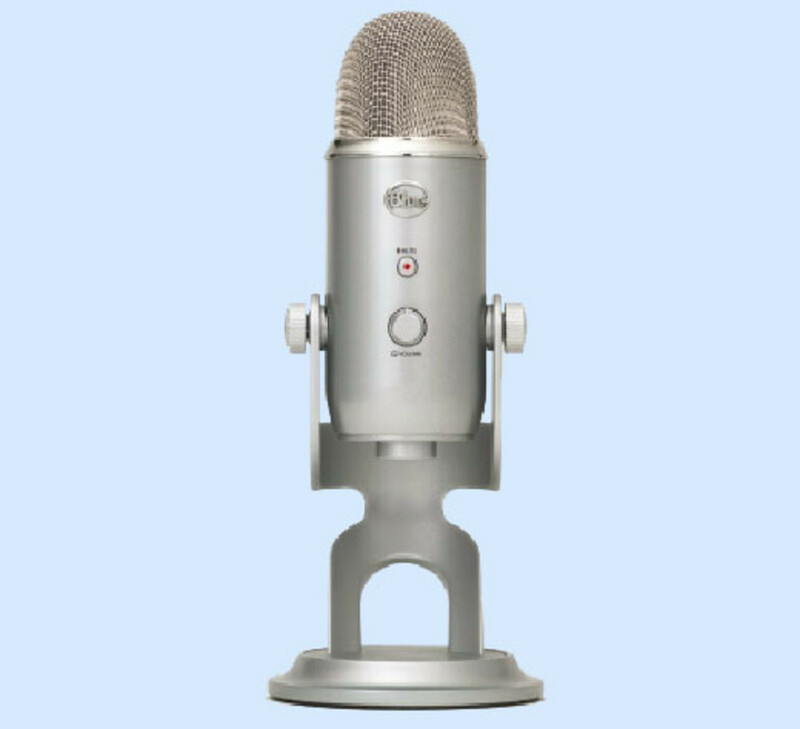 Background noises, including shuffling and unintelligible conversations, can also sometimes be heard, suggesting that the microphone is constantly left open. To this day, nobody is sure of the purpose of UVB-76 or even the exact location of where it's broadcasting from within Russia. A popular theory is that the mysterious radio signal is some sort of “number station,” covertly relaying a seemingly random series of words and numbers to a network of spies, who then decipher the secret codes and messages. Others have suggested that it's a channel reserved for military emergencies, with the buzzing ensuring that the channel remains open and occupied and is being received by the correct institutions. A far more outlandish theory is that UVB-76 was a "dead hand" system during the Cold War that would have launched Russia's intercontinental ballistic missiles if the buzzing ever ceases in the event of an attack. This is unlikely due to the number of times that the signal has temporarily ceased. None of these theories has ever been verified by the Russian government. Arguably more famous than UVB-76 is the mysterious transmission known as the Lincolnshire Poacher. It consists of several bars of music from the classic folk song, followed by a female voice that reads out a series of numbers. Despite being electronically synthesized, the voice speaks in an English accent and places an emphasis on the last word. Until its transmission ended in 2008, it was commonly believed that the source of the broadcast was a British RAF base located in Cyprus. The existence of the Lincolnshire Poacher and many other mysterious broadcasts were further investigated by BBC Radio 4, which explored the common belief the signal may be a "numbers station" transmitting code. To hear other strange signals that are commonly believed to be numbers stations, please click here. 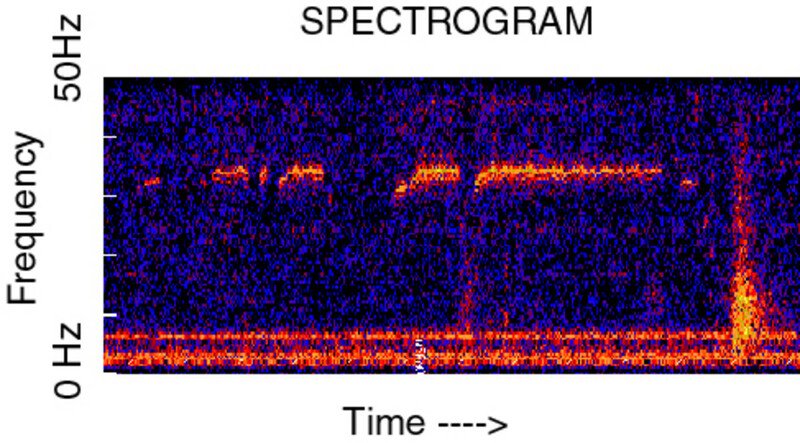 Just as mysterious is UVB-76 and the Lincolnshire Poacher is the lesser-known Yosemite Sam Transmission, which was first discovered in 2004 and broadcasts on the shortwave frequencies 3700 kHz, 4300 kHz, 6500 kHz, and 10500 kHz. It consists of a brief buzzing noise that lasts around 800 milliseconds and may indicate a transmission of encrypted data. Following the buzzing plays a sound bite from Loony Tunes' 1950 cartoon "Bunker Hill Bunny," in which Yosemite Sam is heard saying his classic line: "Varmint! I'm a-gonna blow you to smithereens." It repeats this transmission on each frequency approximately every two minutes. The purpose of the signal and the data that it's transmitting remains a mystery. Its transmitter is thought to be somewhere in North America's New Mexico desert, probably near Albuquerque. To hear an audio sample of the transmission, please click here. 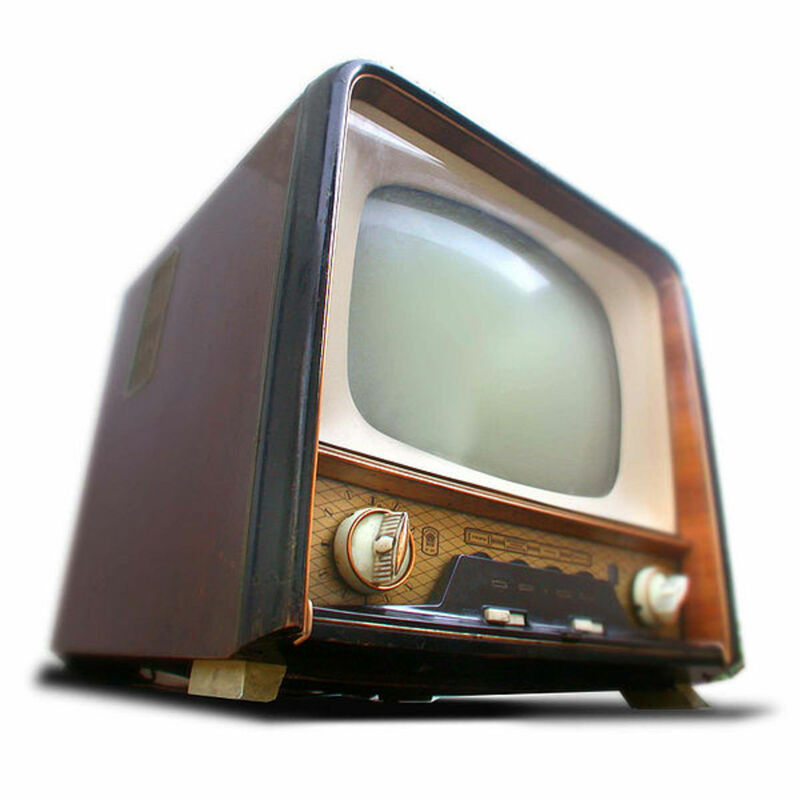 Imagine an old radio sitting on a shelf, without access to electricity, mysteriously turning itself on to play a broadcast that hasn't been heard for over 70 years. The staff and volunteers at Montrose Air Station in Scotland claimed that such an event happened to them in 2010, when an old Pye Wireless radio on display and with no power source repeatedly played World War II transmissions featuring speeches from Winston Churchill and big band music by the Glenn Miller Orchestra. Apparently, when technicians inspected the 70-year-old radio, they found that it was lacking the components necessary to be receiving any broadcast. Montrose is widely described as one of the most haunted buildings in Britain, though for some reason the staff never kept any recording equipment on standby to capture such a bizarre phenomenon on tape. So all we have to go on are personal accounts, which, of course, are difficult to verify. All of the recordings looked at so far have some backstory, and most are fairly well known in certain circles. Yet one that has flown entirely under the radar is simply known as the Old Tape. It was first uploaded to the Internet by an anonymous 4Chan user who claimed that he recorded it in 1995 while listening to WKCR 89.9 New York. The recording begins with a couple of bars of music before it's interrupted by an ear-piercing shrill, heavy breathing, and then eventually a distorted female voice reading out what sounds like names and dates in a chant-like rhythm accompanied by chimes. This recording is likely a hoax, although many have put forth theories that could explain the phenomena if it is genuine. 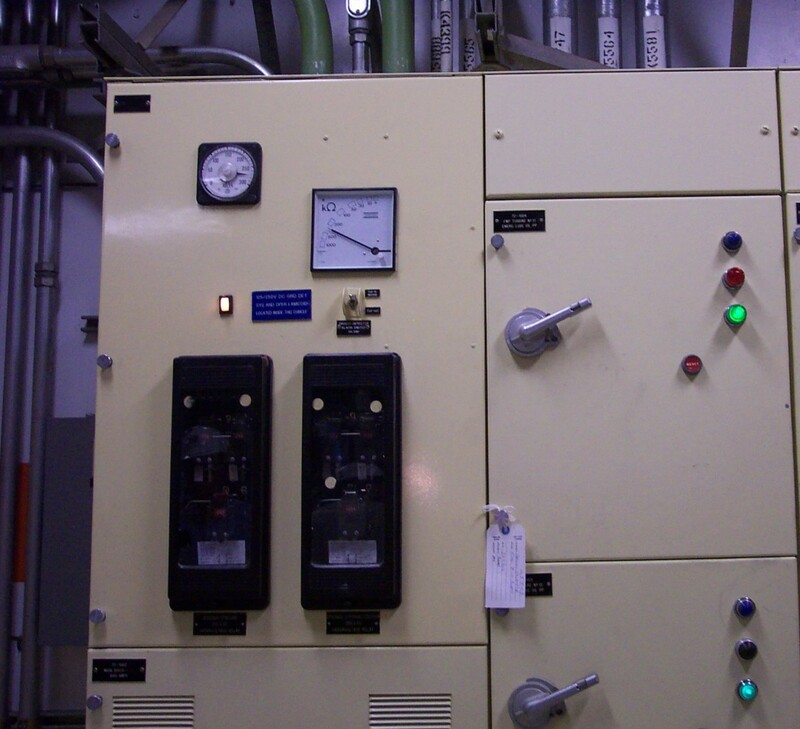 Some have suggested that the listener may have unknowingly accessed a numbers station, captured a ghostly EVP, or recorded the work of a signal hijacker. Then again, it may have simply been WKCR themselves transmitting a trippy and unnerving broadcast to their listeners for whatever reasons. Regardless, its unknown origins and lack of backstory, explanation, or context add to this audio's unnerving and creepy nature. To hear this recording, please click here. Be warned that some people may find this recording disturbing. Prepare your ears for possibly one of the most sustained irritating noises ever heard on the radio. Despite its name, this broadcast doesn't sound much like music being played backwards or even the bellow of a whale. Instead, it's more comparable to nails scratching a chalkboard or the continuous grinding of metal accompanied by static and an otherworldly whirring. 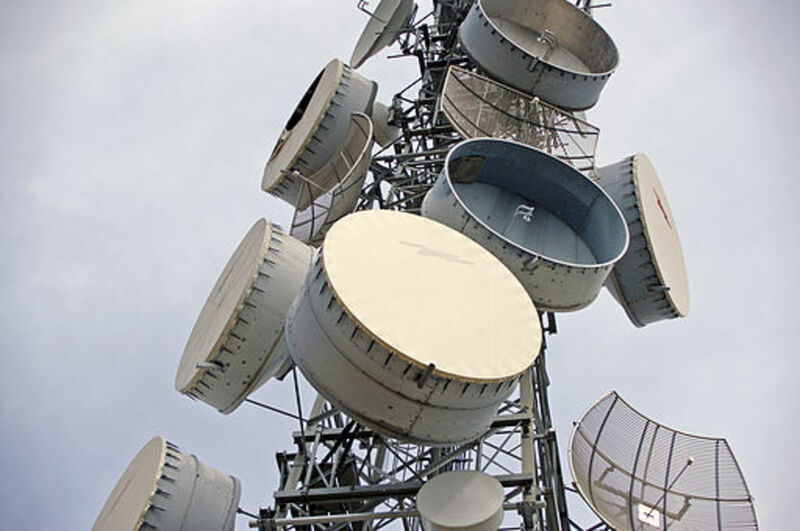 The signal has been heard on various radio frequencies in a number of countries, and its signal is commonly believed to be broadcasting from two unknown locations within the United States and the United Kingdom. The station's purpose has never been uncovered, though there are plenty of theories surrounding its existence, including that it may be transmitting encrypted messages or even just be feedback from naval transmitters using open channels. 1980s TV icon Max Headroom was already creepy, with his plastic-like skin, pixelated appearance, jerky movement, electronically distorted voice that sporadically changed in pitch, and tendency of glitching and stuttering in front a background of moving geometric patterns. Yet on November 22, 1987 Headroom became a lot creepier when a TV pirate used his likeness in a series of demon-like, nightmare-inducing transmissions that hijacked US television signals during the 9 o'clock news on WGN and Doctor Who on WTTW. Donning a Max Headroom mask, the hacker's intrusion during the newscast only lasted for around 25 seconds and was completely silent other than the sound of static. When he came back two hours later to interrupt Doctor Who, he appeared for around 90 seconds with heavily distorted audio. The video ended with someone, only partially on-screen, spanking him with a fly swatter. To this day, the mystery man in the Max Headroom mask has never been identified. This rather humorous transmission occurred in February 2013 and involved a verbal message broadcasting over the top of television programs in Montana, Michigan, and New Mexico. A male voice warned viewers that the dead were rising from their graves and attacking the living and that they should wait for instructions to appear on the screen. Montana was the first to receive this broadcast, temporarily replacing the audio of The Steve Wilkos Show (see video below). According to Reuters, nobody took the warning seriously. On November 26, 1977 in the UK, a news bulletin was interrupted on Southern Television by a voice claiming to be an extraterrestrial being. Different versions have been reported of the message: The being introduced itself as Vrillon from the Ashtar Galactic Command or Asteron from the Intergalactic Mission with a warning that as we enter the "period of Aquarius," weapons of evil should be destroyed and we should all learn to live together in peace or leave the galaxy. The incident caused some panic after it occurred with the police being hit hard with phone calls from panicked viewers. Much like Max Headroom incident, the broadcast is considered a hoax, but the source of the transmission and the culprit responsible were never found. Though it sounds like the alias of a mysterious and mischievous prankster or dashing and theatrical Robin Hood-type, in reality Captain Midnight was John R MacDougall, a disgruntled 25-year old electronics engineer whose Florida-based satellite television company was suffering under HBO's increased rates for satellite dish ownership and signal encryption. Despite the whole incident being a lark, in the event's aftermath HBO painted the culprit as a domestic terrorist and Hughes Communication, who owned the Galaxy 1 satellite, even considered shutting down the HBO signal completely. John MacDougall was caught a week later and issued a $5,000 fine and one-year probation. He still operates MacDougall Electronics to this day. DeFino, J, The HBO Effect. New York, USA; Bloomsbury Publishing 2014. pp. 58 & 59. Pappas, S. 'Spooky Science: Unexplained Sounds from the Deep", Live Science. October 25 2012. Smith, D., 100 Places You Will Never Visit: The World's Most Secret Locations. London, UK; Quercus Editions. 2012. Walsh, D., An Air War with Cuba: The United States Radio Campaign Against Castro. North Carolina, USA; Macfarland and Company Inc. 2012. pg. 122. Re: A Warning from Beyond the Stars, voice appears to be channelled through an early pitch-shifter / harmonizer effect (as per the artefacts you can hear at the end of each line which, sort of warble). Probably not a Vocoder. These effects would have been ridiculously expensive back in the 1970s and probably only owned by studios - including the BBC... Could be a hoax perpetrated by the BBC Radiophonic Workshop on their fellow BBC workmates! Hi 'Me', thanks for your comment and adding that fact on 'The Well to Hell'. Very interesting. Carol Church, that's very strange. Wish I had an answer for you. I couldn't find any information on Channel 7 vintage radio. Maybe try recording it, that way you can work out what it is and perhaps track down its source. For what it's worth, the Well to Hell recording samples the "scream" sounds from Mario Bava's film, Baron Blood. Still unsettling in the context, though. Thanks for your comment and sorry to hear that you've had troubles with the videos. I've checked them all and they all appear to be working now. All these videos are linked to YouTube, so might have been a temporary problem with their servers or an issue with the connection. They're all fixed now though.